Determines that operator’s personnel grounding devices (wrist straps2, foot grounders, ESD shoes, smocks3) are functioning correctly. Default test limits listed. 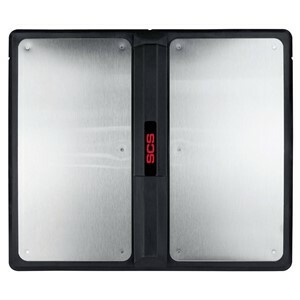 Additional test settings are noted in the user guide. 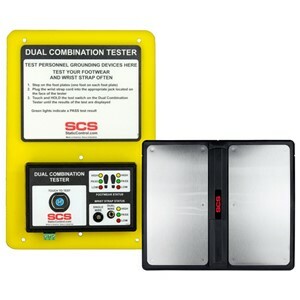 The Dual Combination Tester can verify both single-wire and dual-wire wrist straps. 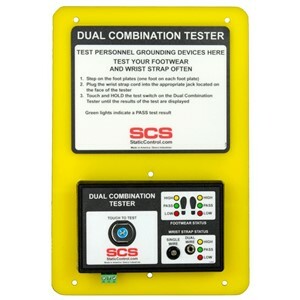 The Dual Combination Tester will also test a Groundable Static Control Garment System. 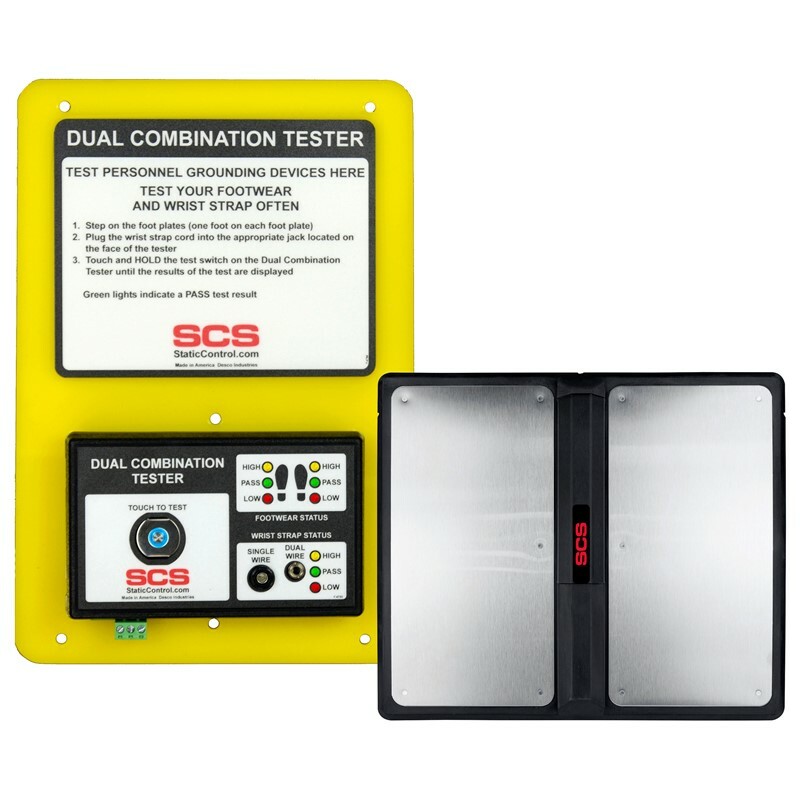 The Groundable Static Control Garment System must have an RTG of < 3.5 x 107ohms to meet the required limit of ANSI/ESD S20.20-2007 tested per ANSI/ESD STM2.1 and ESD TR53.